A two week old baby (plus a three year old) doesn't allow for much sewing time, but I have actually managed one small project. Once you become a cloth-diapering mama, you start looking at some of your other disposable items and figuring out which ones can be replaced with reusable versions. 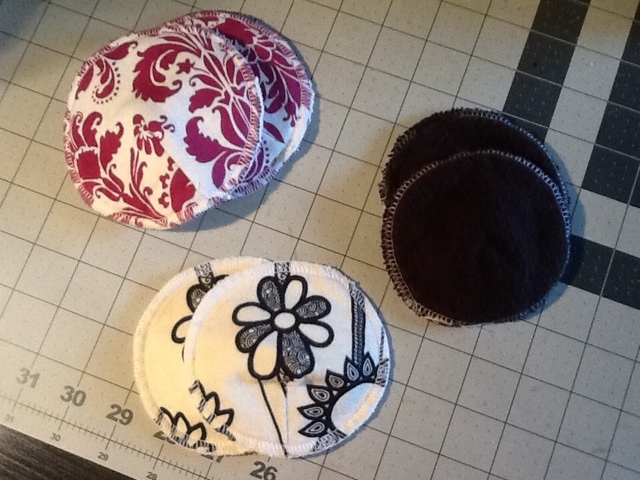 I decided to try my hand at making cloth nursing pads. They turned out to be quick and easy and pretty fun to make. If you start looking to buy these, you'll see that there are two types. One is just a circle, and the other is contoured with a dart. I opted to make ones with darts for a better fit. This would be an even faster project if you went with simple circles. 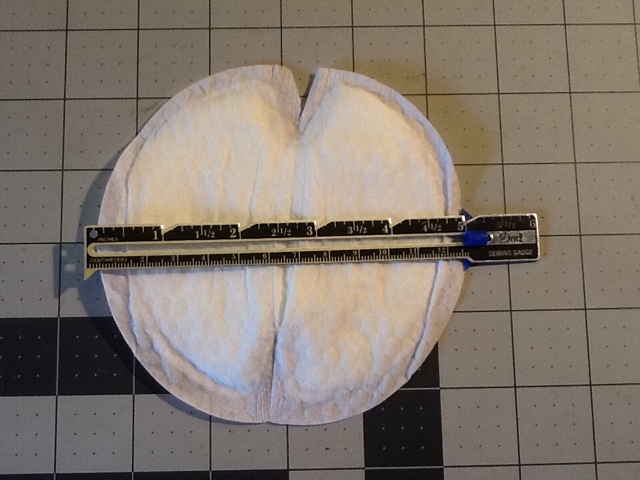 The standard size seems to be 5" in diameter (see above disposable pad). 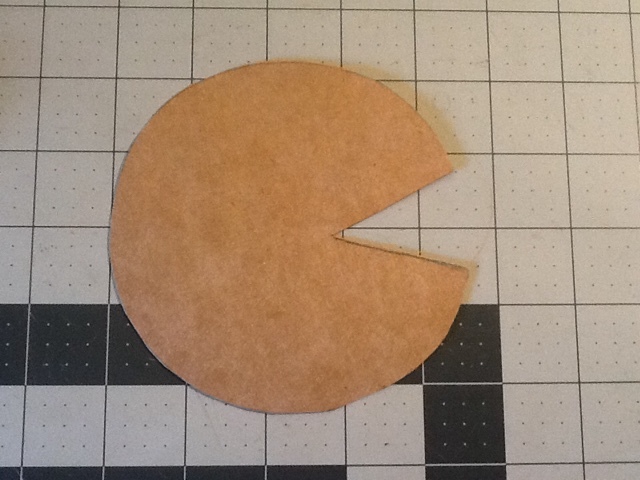 I recommend tracing your pattern out on to a piece of cardboard, not paper, since you'll be cutting/tracing around it multiple times for just one set of pads. Find a compass to draw your circle, or alternately grab a drinking glass that is the diameter you want and trace around it. I didn't do anything fancy to calculate my dart, simply copied it from another pattern. I shortened it so that the point of the dart would end about an inch away from the center bust point. It's common practice on any garment that the dart end that far away to avoid a pointy bust. If you'd rather print a pattern than make your own, Megan Nielsen has a free one on her blog, here. When it comes to choosing fabrics, what better place to look than your scrap bin? 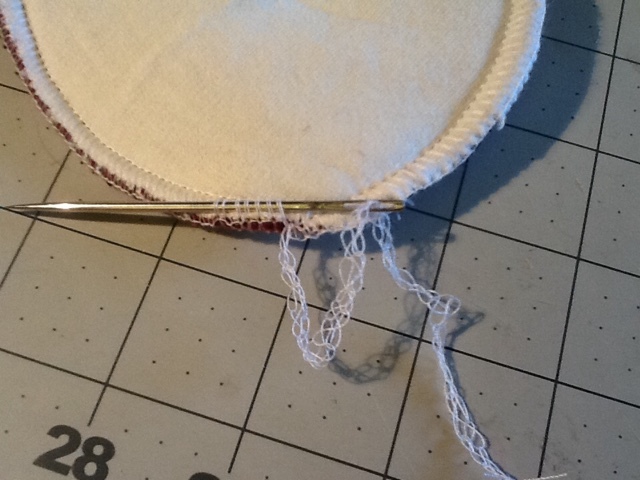 I have a bunch of French terry scraps that I've been using, since the extra loops on terry provide absorbency. 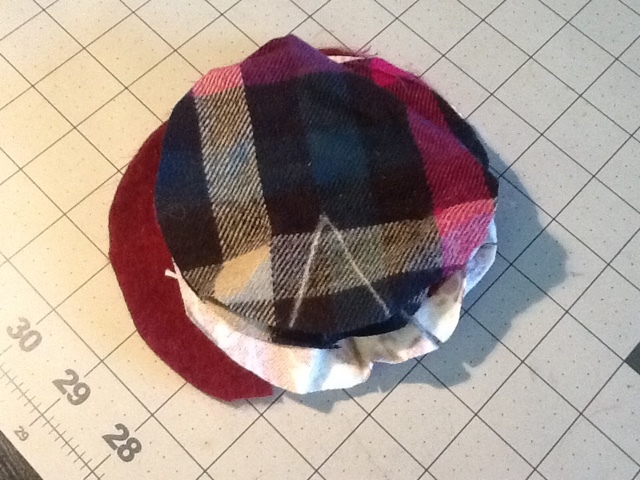 Flannel is also very absorbent and an easy fabric to sew, so I've used it for my inner layers. Finally, silky soft organic bamboo French terry has been my last layer, the one closest to the skin. The loops face inward and the knit side faces out. For maximum breathability you want to avoid a waterproof layer, although I imagine wool would work just fine. The amount of layers depends on personal preference. I've been experimenting and it's kind of nice to have a variety of thicknesses. Be sure to use a smooth fabric for the layer closest to your skin; you don't want something fuzzy like flannel sticking to you! 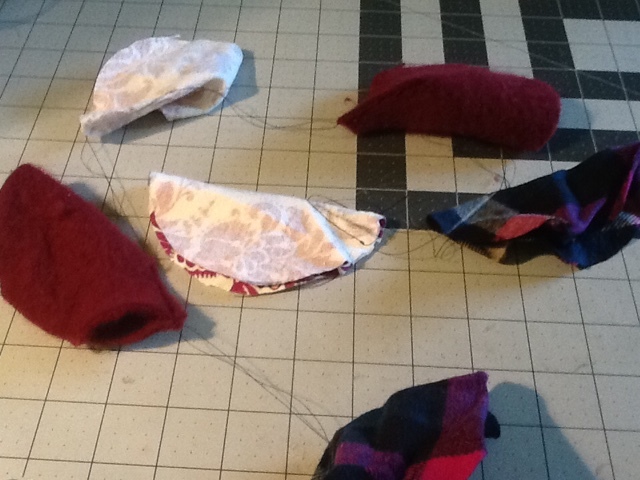 I haven't been back stitching, just leaving longish thread tails when I cut them apart. Trim away the dart to reduce bulk. After that, layer up your pieces, aligning the darts, and pin or clip. 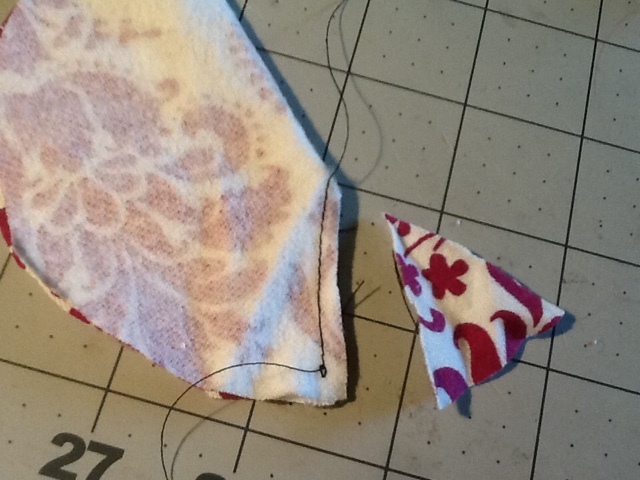 Send them through your serger to finish the edges. 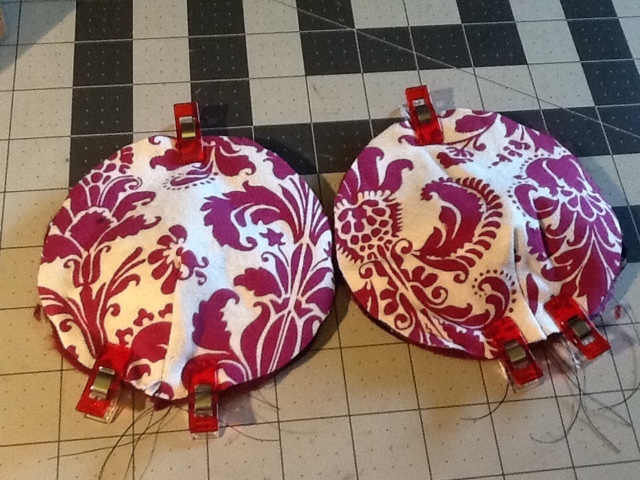 The pads hold their shape better if you sew with the inside face up. Only trim enough to make sure you're catching all the layers. If you've never serged in a circle, it can be a bit tricky. The good news is that nobody will see these pads, so it will be great practice! Thread your chain under the stitching and viola! You're done! 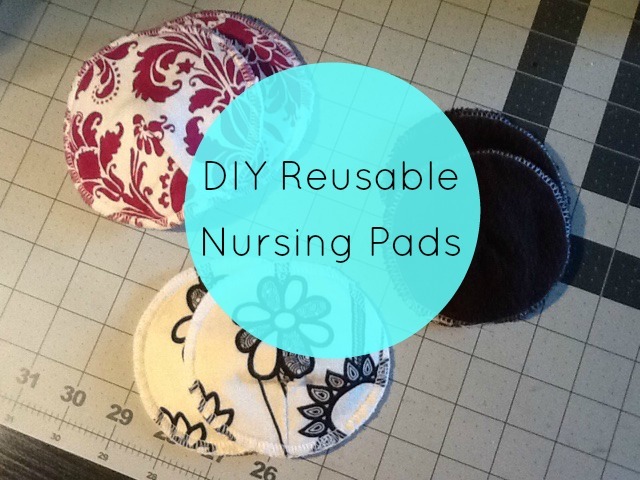 Washable, breathable, pretty nursing pads. Free shipping on A Sewist's Notebook ends today! Use code JUNESHIP at checkout. Congrats on the new bundle of joy!!! Me Made May wrap up!